Garment business is among the oldest and most profitable businesses in the word. Next to food, garments are an essential part of living where people spend a significant amount of money. With fashion and trend changing every day, there is scope for both niche players and large players to make money. In this article, we look at the process for starting a garment business in India. Garment manufacturing is normally capital intensive and requires good infrastructure. Garment manufacturing starts from processes like weaving or knitting followed by dyeing. All these processes require extensive capital, infrastructure and manpower requirements. Garment makers regularly purchase various types of fabric from the market for making clothes. However, the type of fabric and the quantity would vary depending on the order. Hence, most garment makers would purchase from a fabric trader who aggregates demand for garment makers. Those wishing to start a fabric trading business must have good connections with fabric manufacturers and access to working capital funds. Once fabric is manufactured, it would have to be stitched and made into garments based on various styles. Here, fashion designers and garment makers play a major role. 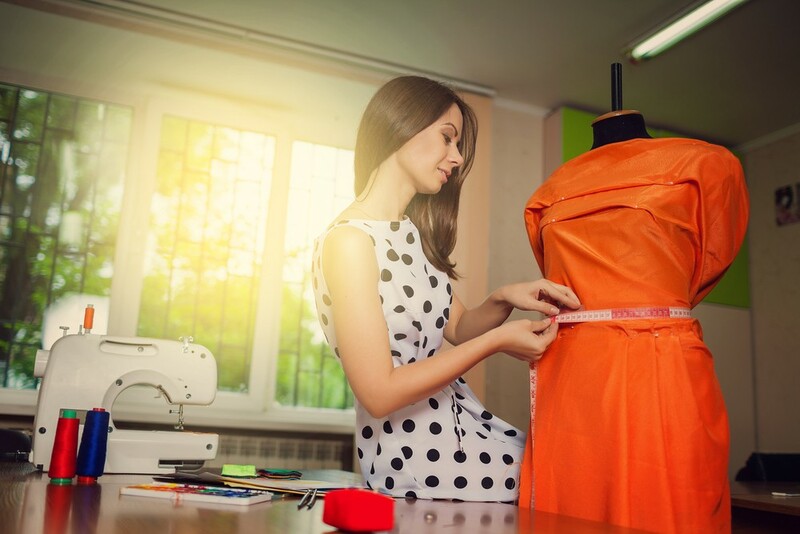 Those wishing to become a fashion designer must have strong fashion skills and those wishing to make garments must be able to execute orders for garments based on the client or designers requirement. This is the last stage in the garment business where garments are retailed to clients at various locations and through various channels. Garment sales can be done online or offline through a network of stores. Those wishing to start a garment retailing business can choose between online or offline retailing. Online retailing involves various aspects like website development, marketing, SEO and software development. Offline retailing on the other hand would entail infrastructure management, marketing and promotion. Before starting a business, its important to conduct a market research. In the market research, the entrepreneur must first figure out the demand for the product or service that he/she might be dealing with. The mode, location and area for the business must then be decided while taking into various other factors. For commencing a garment business, first and foremost, a business name must be fixed, a name which is catchy and nice to hear and check the business name availability. The most popular types of entity for garment business are private limited company and LLP. 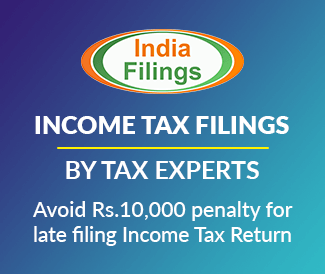 LLP registration is ideal only for small businesses or fashion designers who will not have an annual aggregate turnover of more than Rs.40 lakhs. For all others, private limited company would be the best choice of business entity. Once the business is incorporated, incorporation certificate and PAN would be provided. Use the two documents to open a bank account for the business. Know more about bank account opening for company. Once the business is incorporated, register a trademark for name of the business, the logo and brand. File and obtain the trademark registration for all brands relating to the business in the name of the entity rather than your personal name. Once the business in incorporated as a LLP or Company, enter into a lease agreement with the landlord. Its recommended that you enter into the agreement through the LLP or Company to ensure the venture has limited liability protection and its easily transferable. Click here for commercial lease deed format. Before starting to make payment for interior works and stock, ensure that you have a GST registration and GSTIN in the name of the business. Having a GSTIN before making purchases can help you avail GST input tax credit and thereby reduce your GST liability. Other registration that would be required for a garment business can be obtained after commencing activity. The following are some other registrations and licenses that would be required in the long-term. For most entrepreneurs, their first round of funding would have to be invested from their savings, friends and family members. Additional, Entrepreneurs can also approach local banks for loan if they have a track record or collateral property. As the business scales, most options for funding in terms of debt or equity would open up for the promoter. 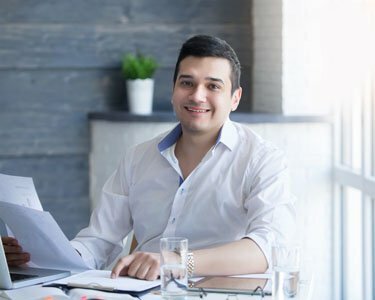 Before starting, an Entrepreneur must ensure that he has enough fund to make rental deposit, interior decorations, create shelves, clothes hangers, counters, signage, cash registers, point-of-sale system, hanging stand fixtures, office equipment, computer, shopping bags and leasehold improvements. If such a cash is not available before starting, the project would be incomplete and could lead to losses without any revenue.